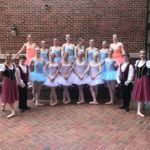 Vostrikov's Academy of Ballet and Virginia Youth Ballet | Providing optimal instruction and performing opportunities for young dancers in Winchester, Virginia. 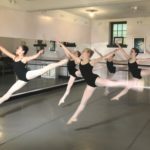 Vostrikov’s Academy of Ballet, located in historic downtown Winchester, Virginia, has been offering professional dance training to students of all ages since 1982. 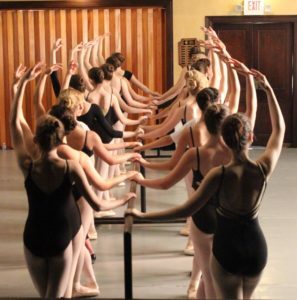 The performing arts facility houses three fully-equipped studios and a large theater studio for performances, which provide an aesthetic environment for creating and sharing the art of dance. 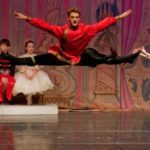 All levels of instruction are offered in ballet, jazz, tap, and pointe. Lyrical and modern dance classes are available to intermediate and advanced dancers. Classes are taught by highly qualified, experienced faculty who provide instruction and motivation for students to reach their potential while maintaining sensitivity to individual abilities and needs. From the moment young dancers enter our studios to performing for a live audience, they experience the rewards and challenges of a timeless tradition. They gain confidence and satisfaction by being involved in creative activities appropriate to their developmental levels. The physical conditioning and mental discipline instilled through our program enriches students’ lives and remains with them as adults. Vostrikov’s Academy is proud to have alumni who have advanced to careers in professional dance companies across the United States and abroad such as Miami City Ballet, Boston Ballet, Ballet Hispanico, Alberta Ballet, Atlanta Ballet, and Louisville Ballet, and is equally proud to have alumni in reputable careers such as law, medicine, architecture, arts management, and education. 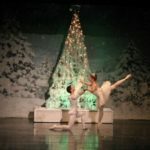 The Virginia Youth Ballet and Theater is the 501 (c)(3) nonprofit performing company associated with the academy. This organization provides professional-level experiences to dance students and outreach programs in the art of dance for the community .